This tale of delicious dinner starts and ends with one of the most lip-smacking things on earth. Nutella. That's right. Nutella. Within moments of sitting down at Marco's Coal-Fired Pizza, my eyes gravitated to the bottom of the menu where the desserts hang out. Nutella Pizza? We knew that was on deck before even ordering a drink. 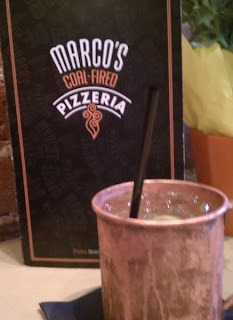 Tearing my mind away from Nutella for a brief moment, I ordered Marco's Mule. I've only enjoyed a Moscow Mule a few times and only here in Colorado, always served in the traditional copper cup. Ginger beer should be enjoyed more often. Our party of four tried two different styles of pizza: Pizza Napoletana and New York Pies. The Sicilia (the rear pizza in the pic above) and the Bronx. The Sicilian has artichokes and salami (yum!) 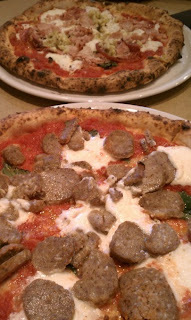 and the Bronx has some serious meatball action. 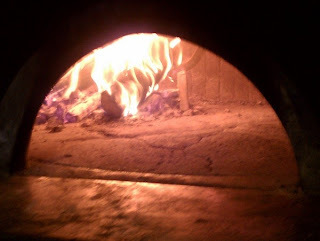 I learned a little more about Pizza Napoletana while I was there, including the use of a special flour (making the crust awesome). We added some Caesar salad in the mix for some leafy greens and were good to go. 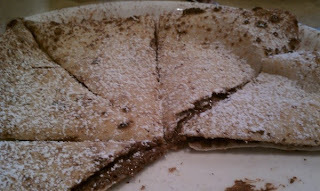 Until my friend jumped up to get an action shot of.....you guessed it, the Nutella Pizza! It comes out of the oven in a giant puff of dough that then has to be sliced. And slathered. With Nutella. 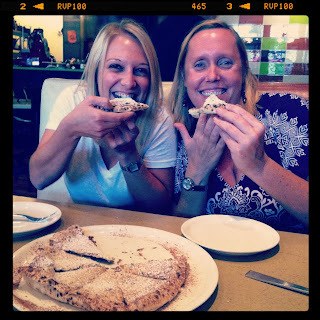 Once we had polished off both pizzas we knew that it was time for a dessert pizza of our own. The cannoli at the table across from ours looked good, but we knew what was going to happen. 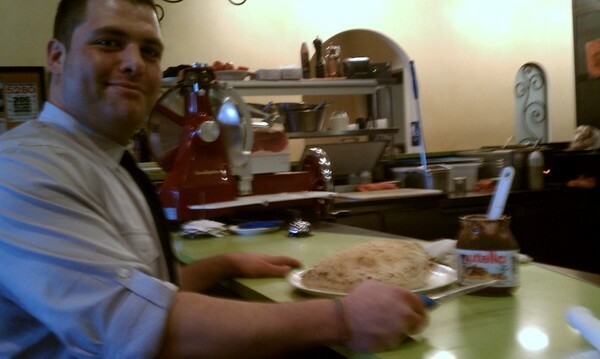 And that, my friends, is my most recent Denver restaurant adventure. A special shout out of thanks to the team at Marco's at the Ballpark for hosting our lively group for dinner...you definitely started our week off right!